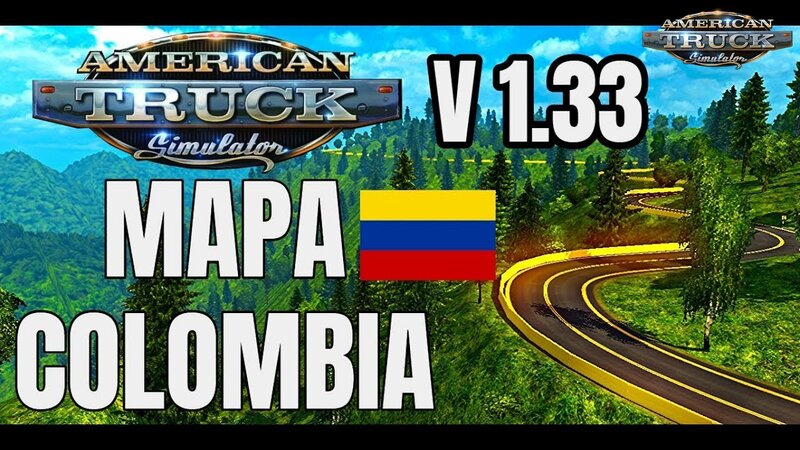 Gameplay videos with Colombia Map (1.33.x) for American Truck Simulator game. This is the BETA 1.0 of the REGIONS COLOMBIA map for version 1.33.x of the AMERICAN TRUCK SIMULATOR. The map is 1:1 scale and real routes. This BETA has a small portion of what the map will be in its entirety.This is not the complete map, it is only a FREE demonstrative BETA which can only be obtained through this page. It should be noted that it is possible to find a fault in the BETA map, so you’ll get some errors in the console, but the map is playable.